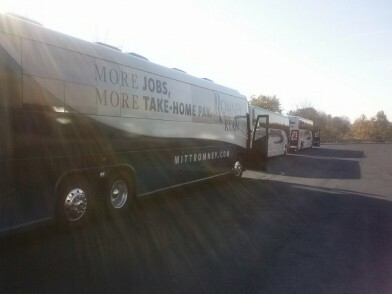 As Hurricane Sandy has prevented the presidential race from reaching the east coast, the Romney campaign has contracted with Trinity Transportation to provide supplemental transportation while campaigning in Ohio. Check out some of the pictures below. 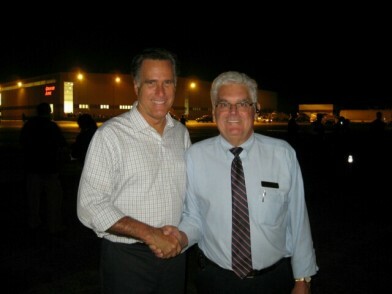 Motor coach driver Bill Brumfield captured a shot with presidential candidate Mitt Romney. 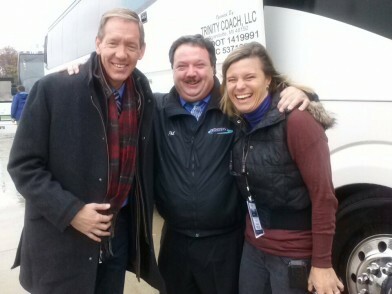 Motor coach driver Phil Haag featured with chief political correspondent Carl Cameron from Fox News. Trinity coaches leading the way.